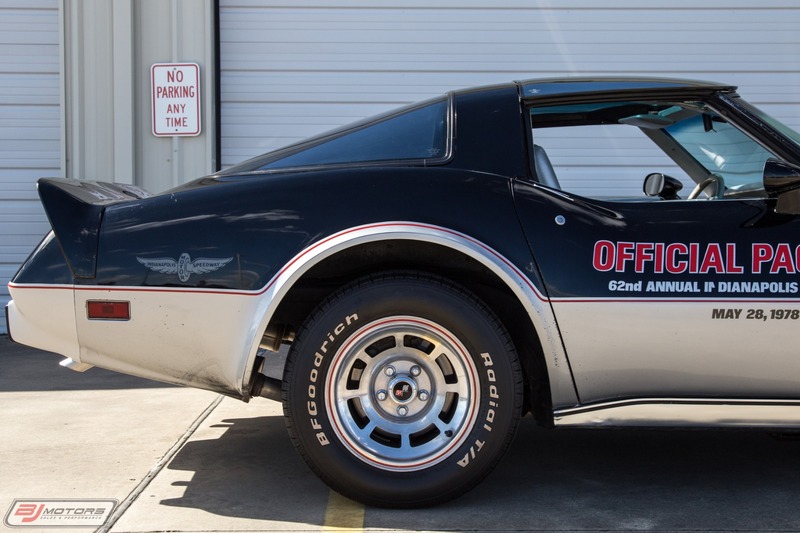 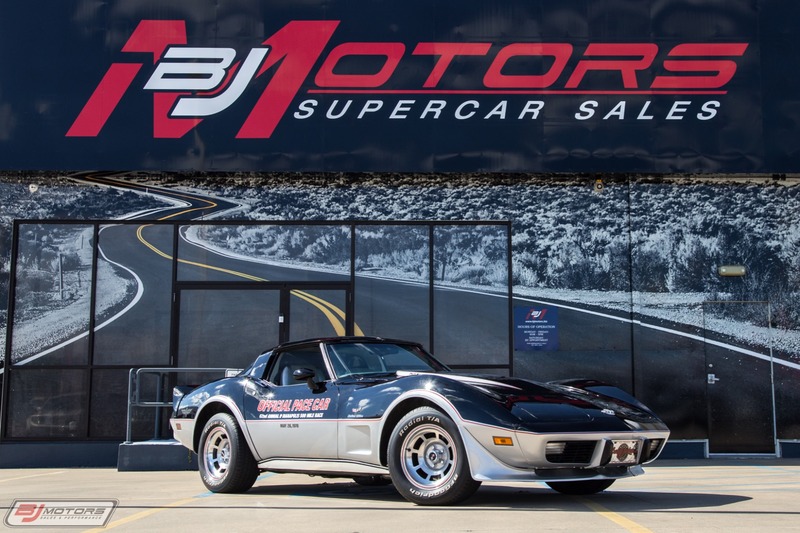 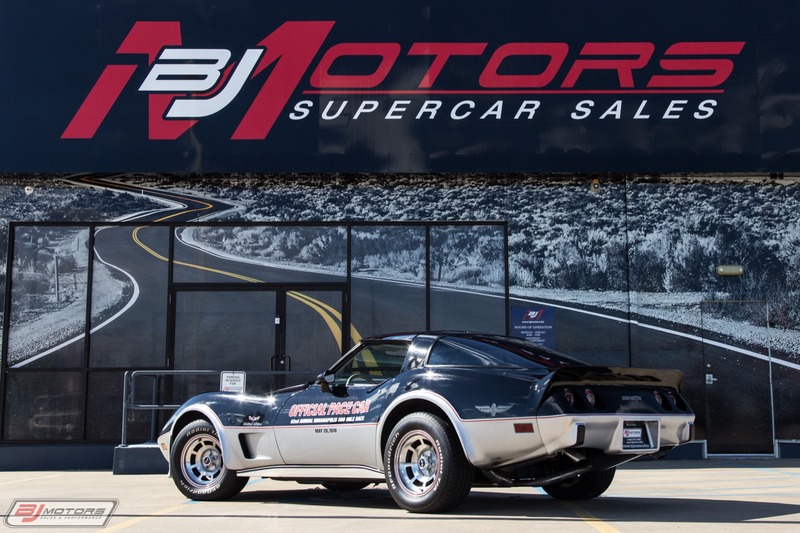 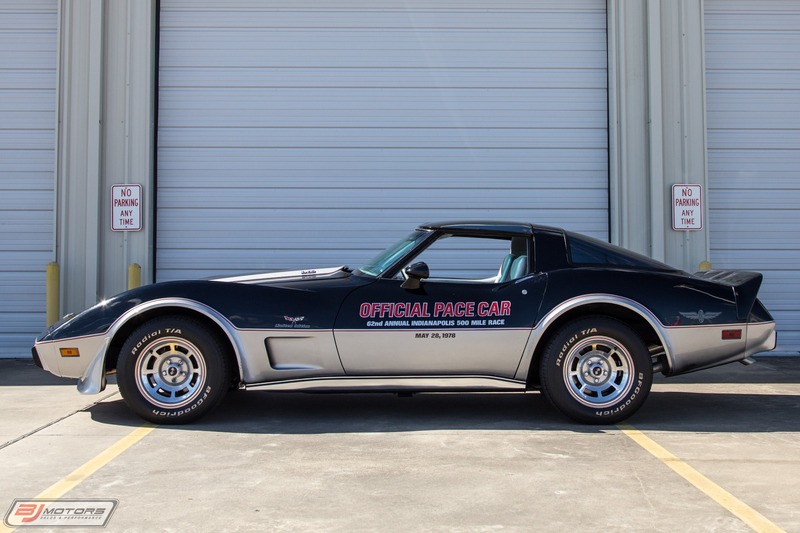 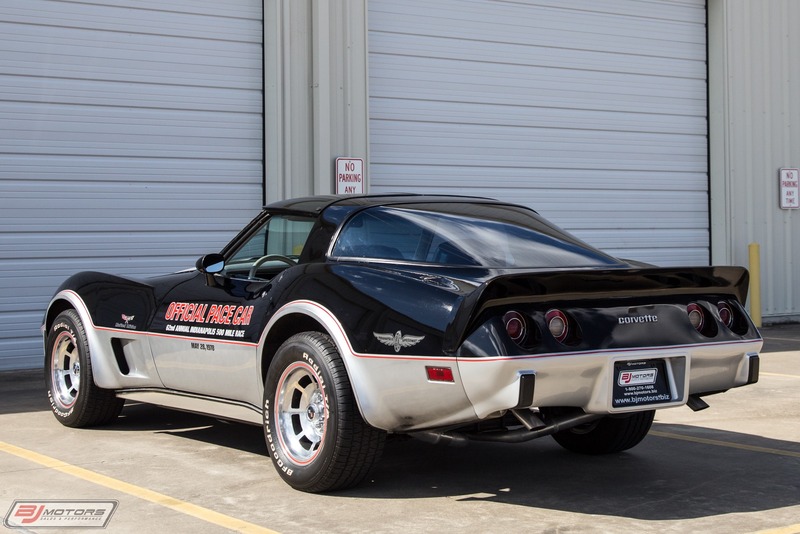 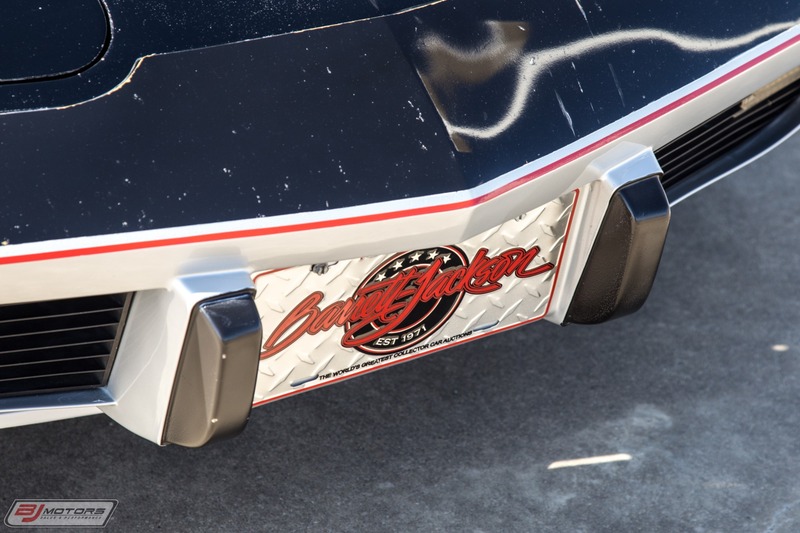 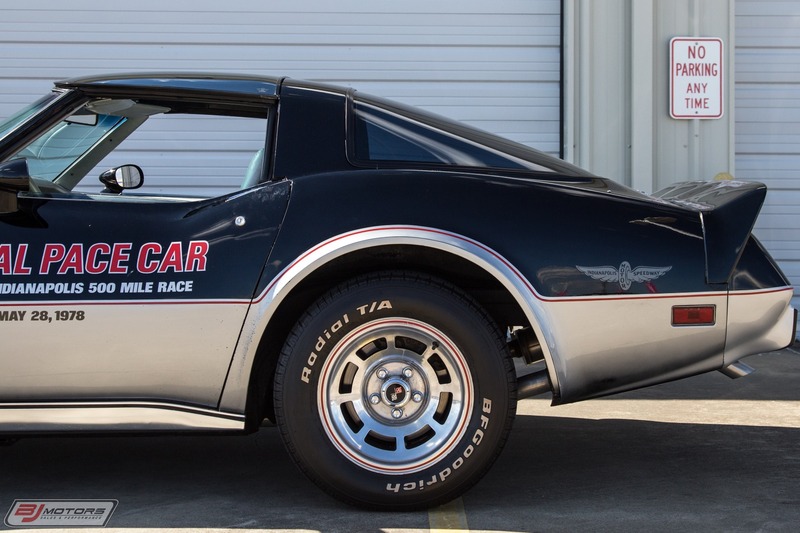 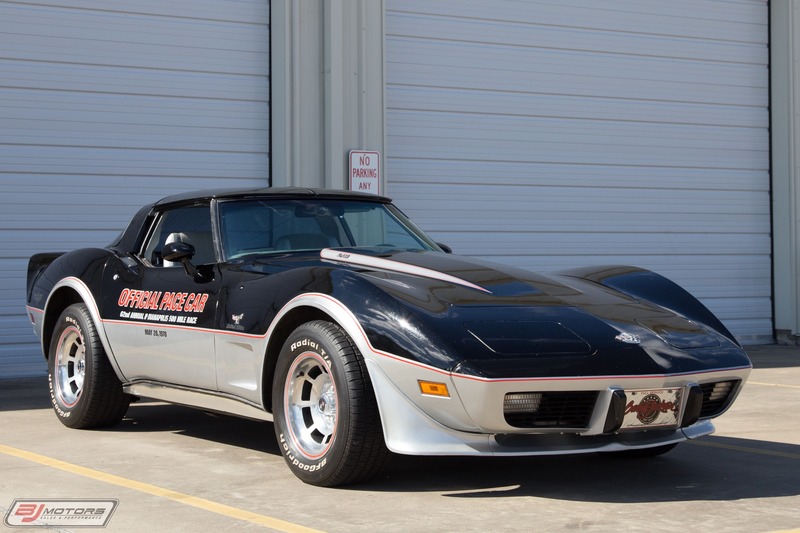 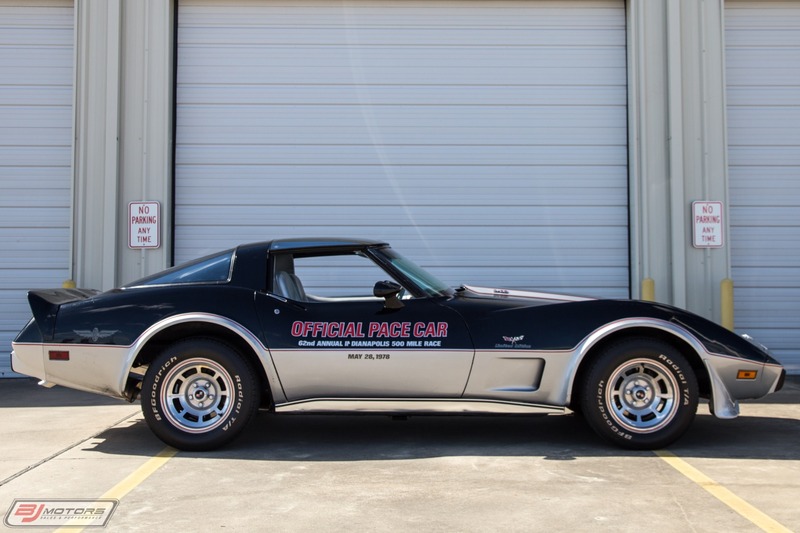 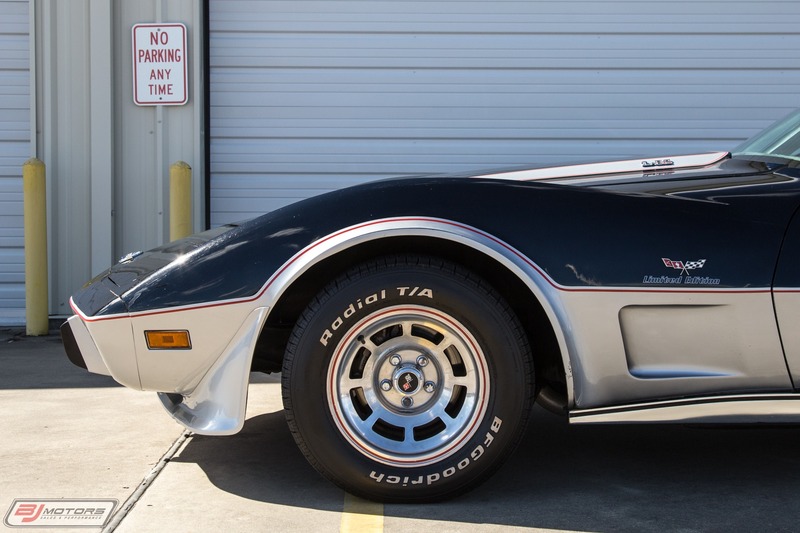 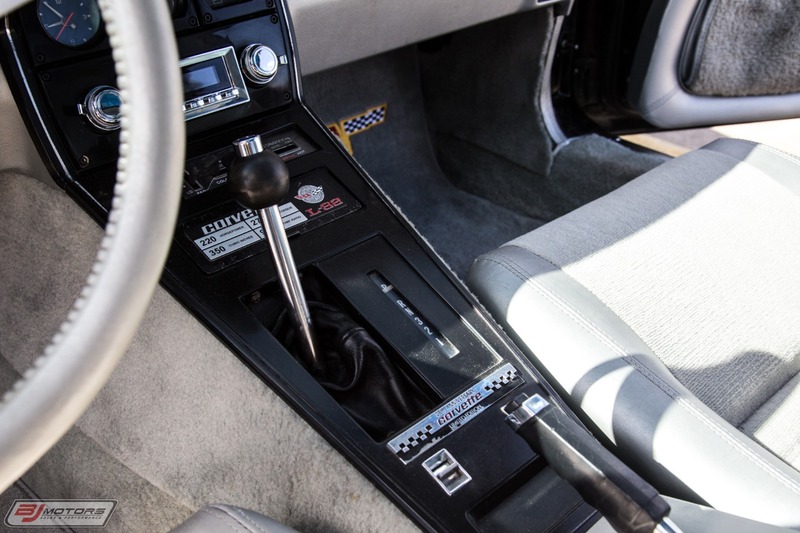 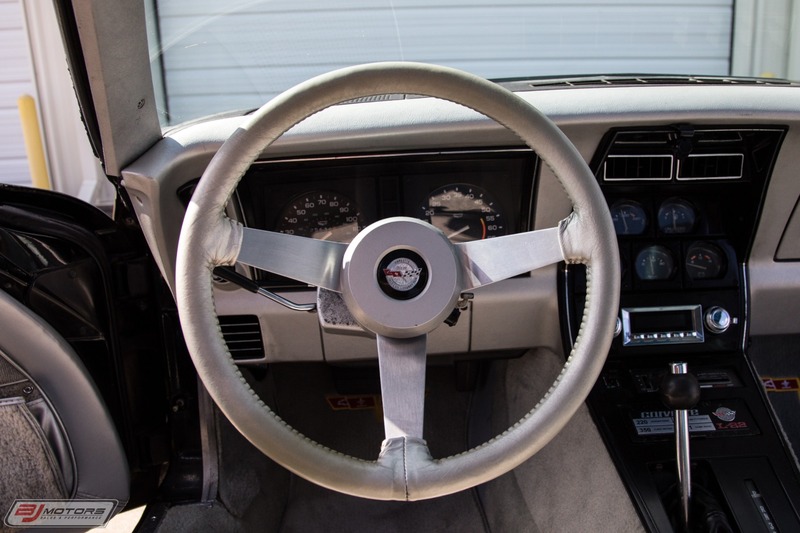 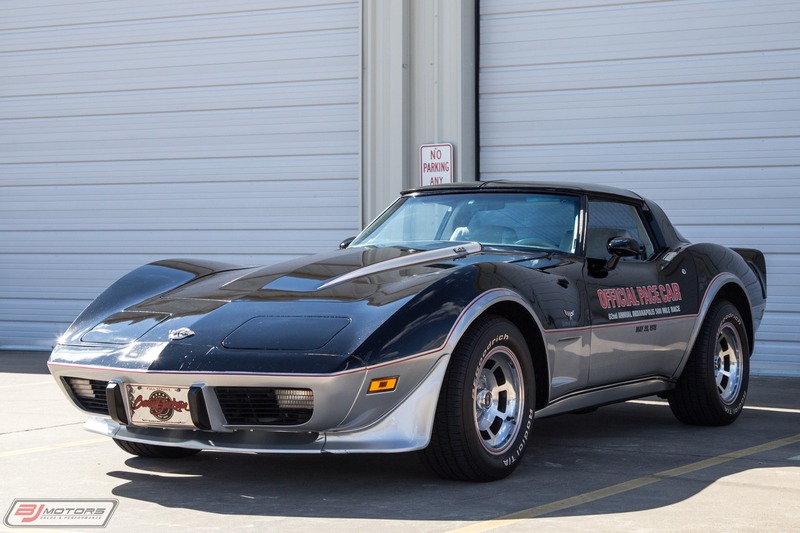 BJ Motors is proud to offer this 1978 Chevrolet Corvette Indianapolis Pace Car Edition Survivor, this is an all original paint Corvette, with the 3-Speed Auto. 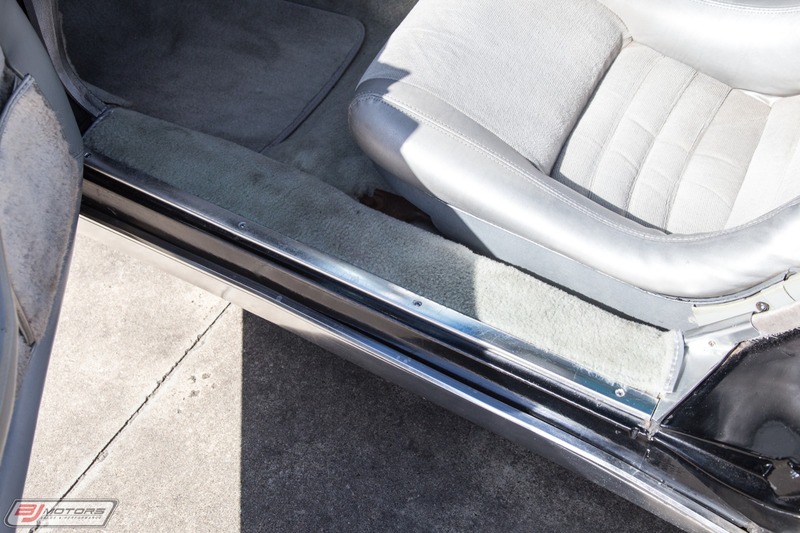 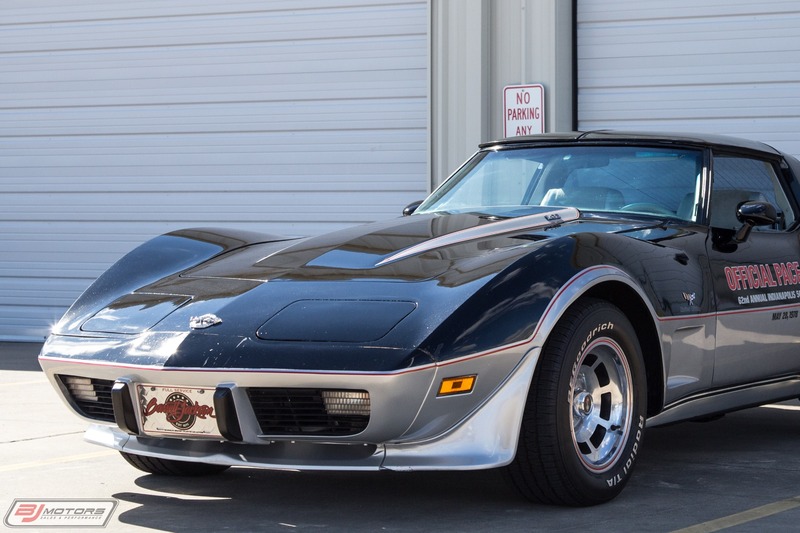 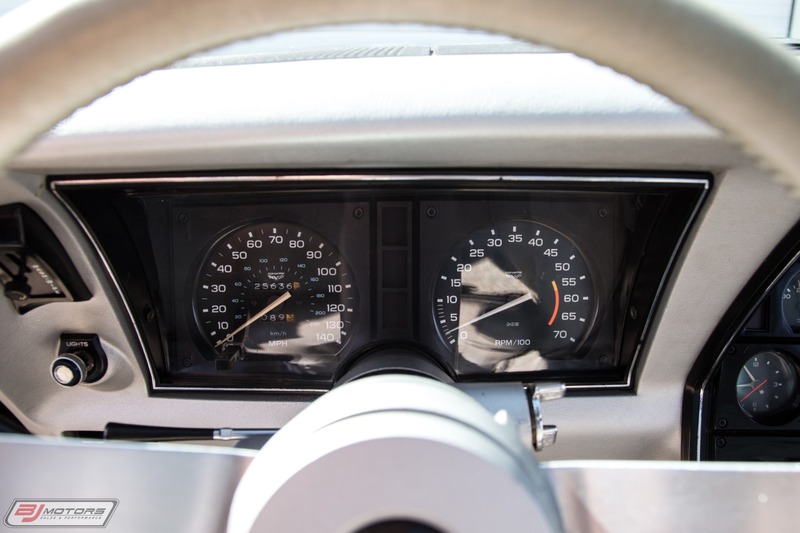 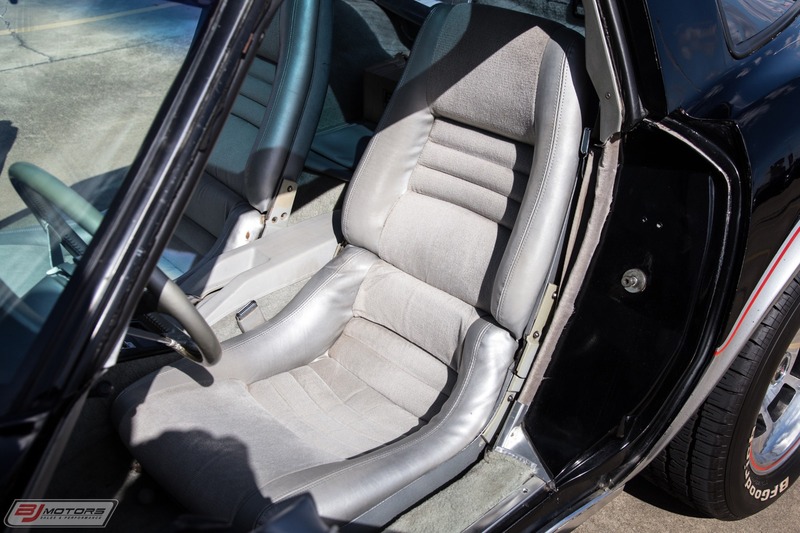 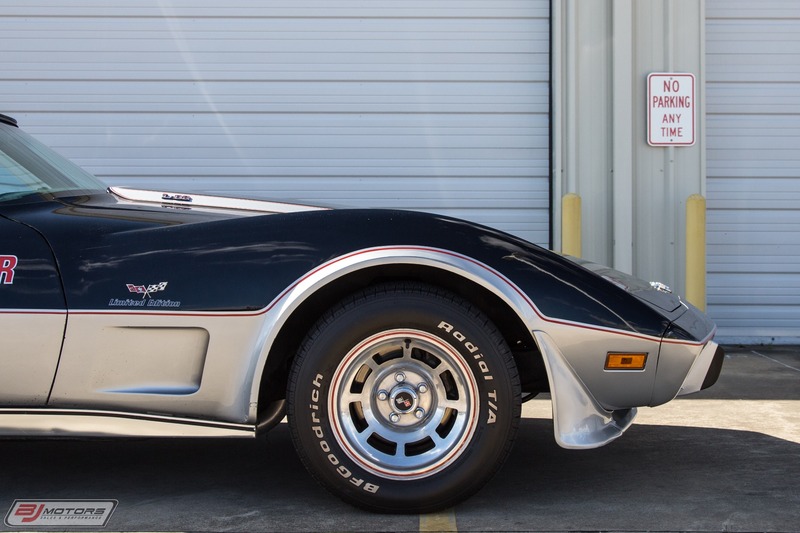 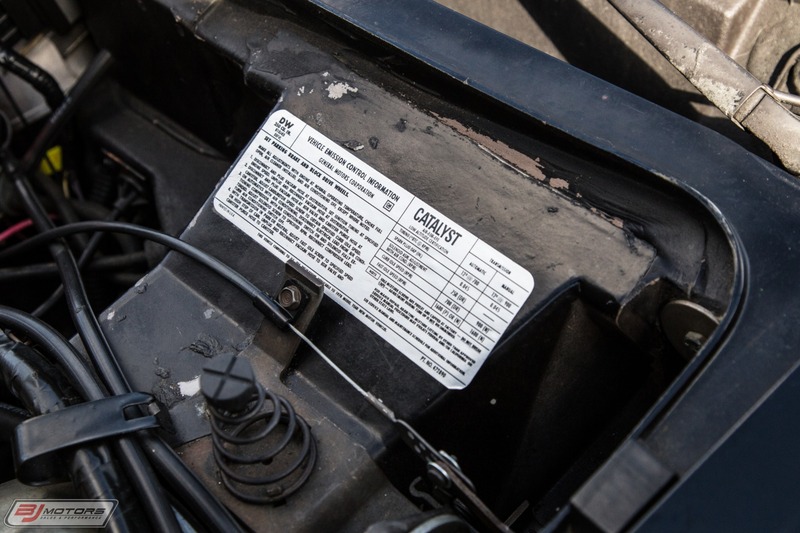 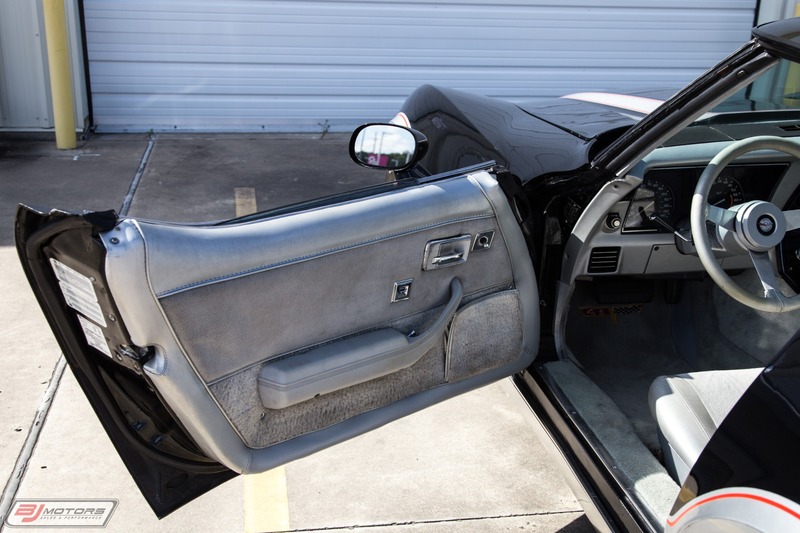 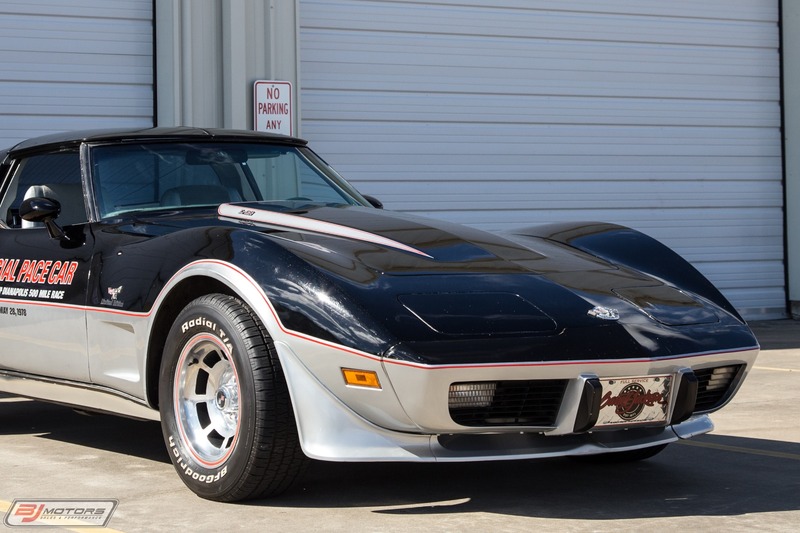 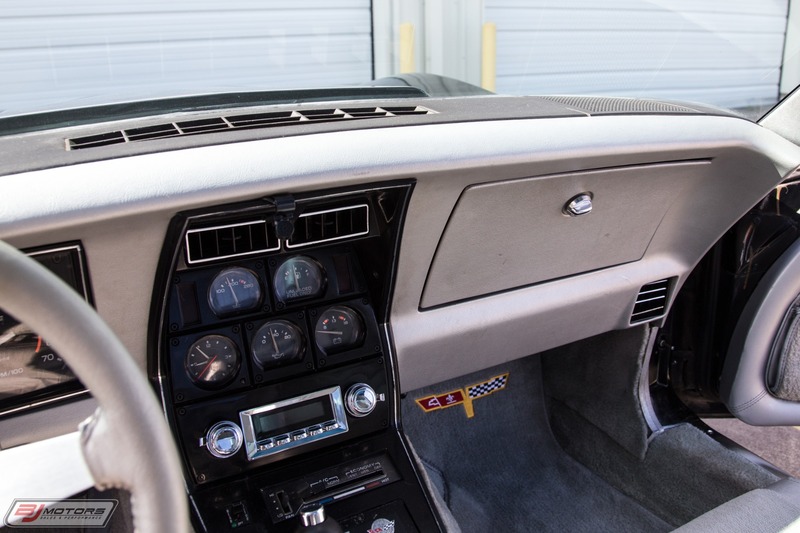 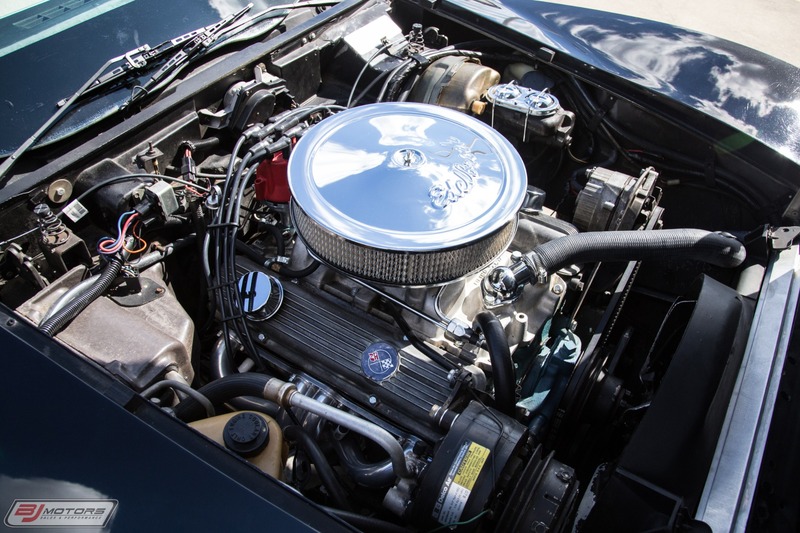 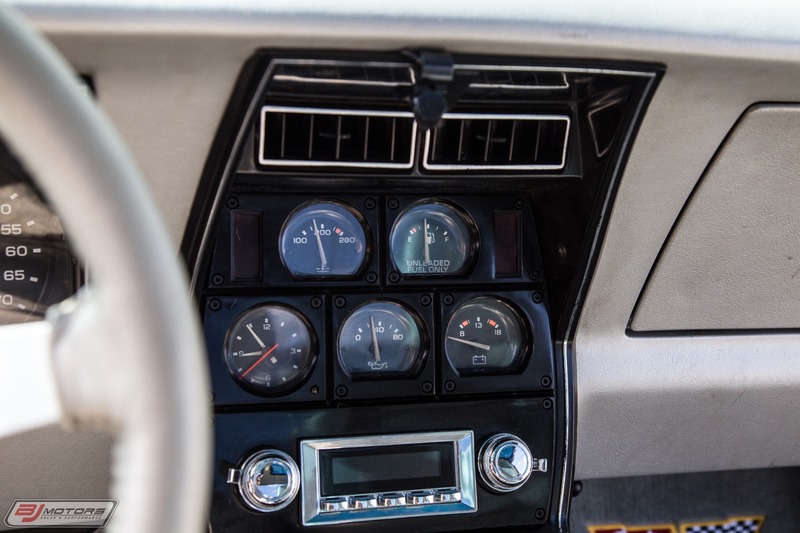 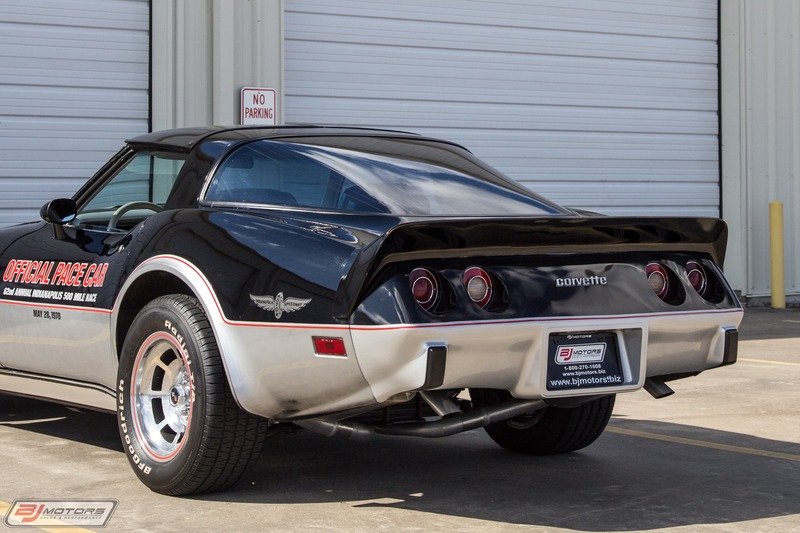 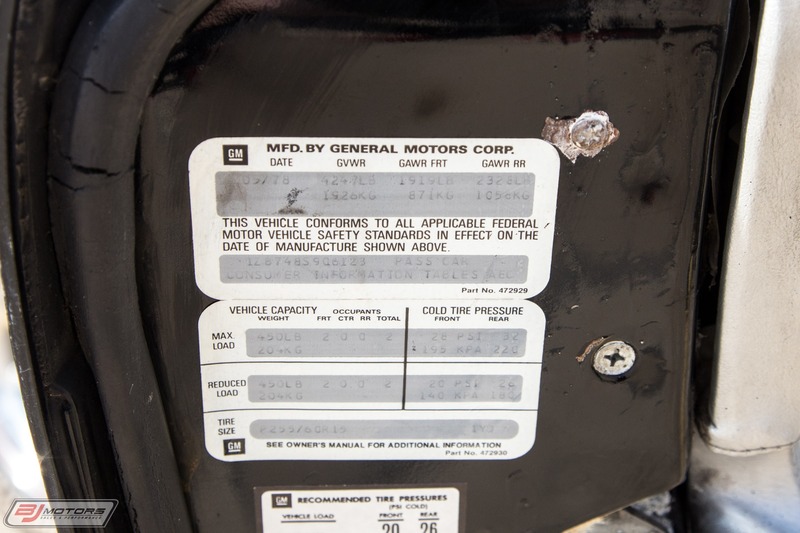 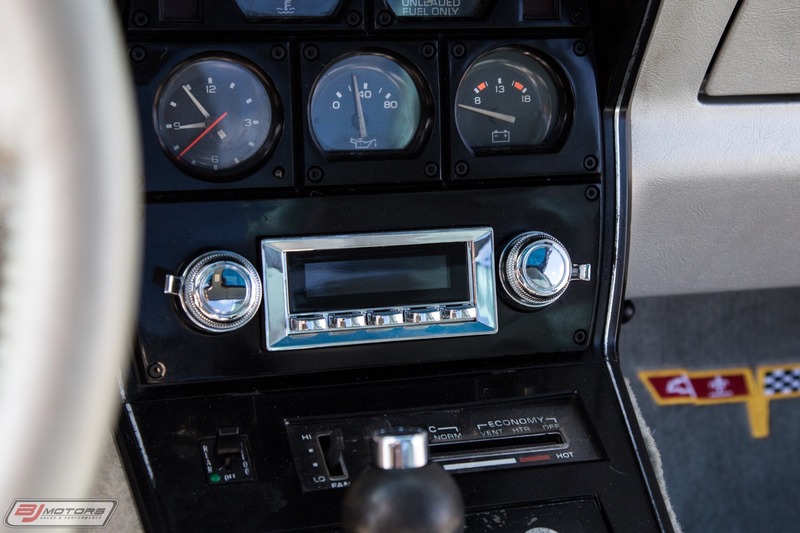 This 1978 Corvette is being sold with only 25,627 Miles from new. 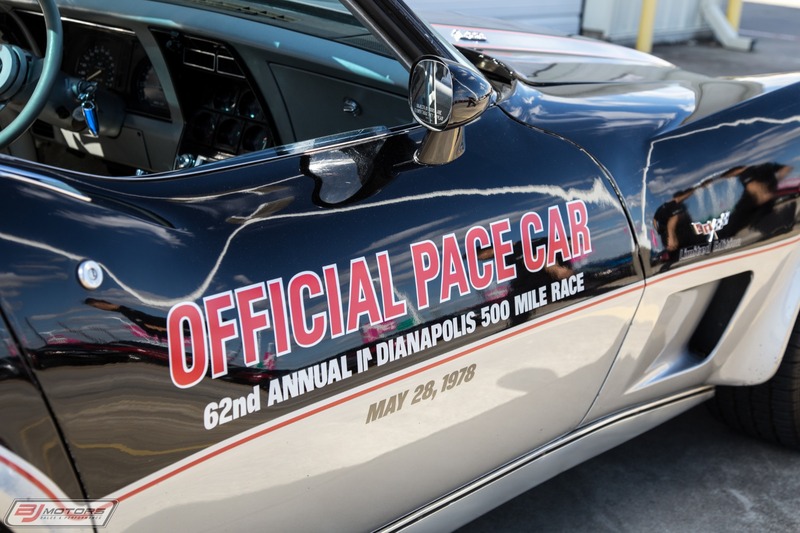 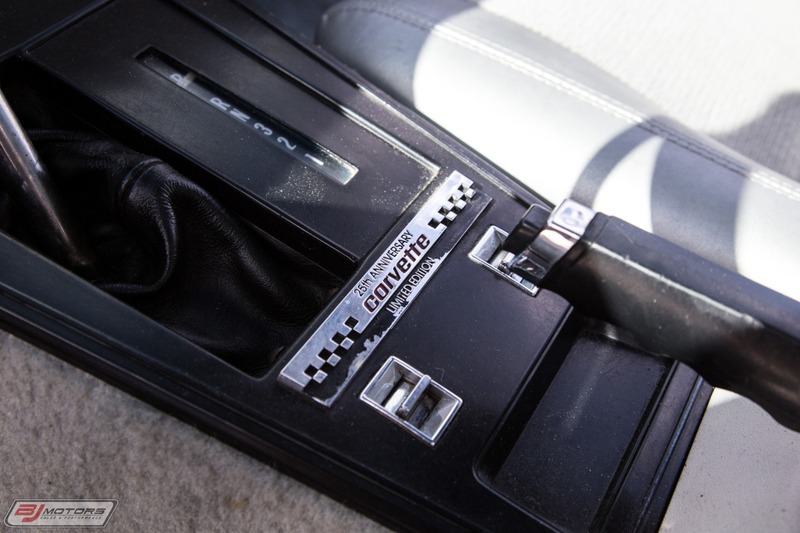 Chevy celebrated the 25th anniversary of the Corvette by pacing the Indianapolis 500 and releasing a handful of special edition pace car replicas to the public. 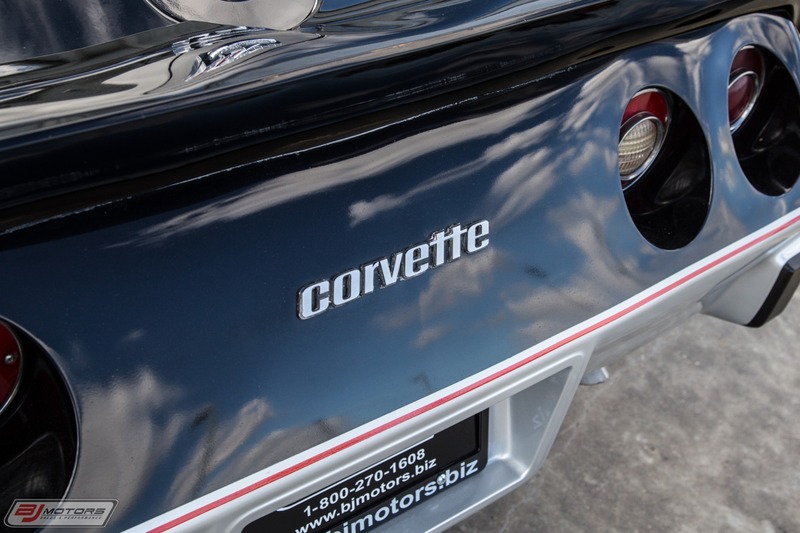 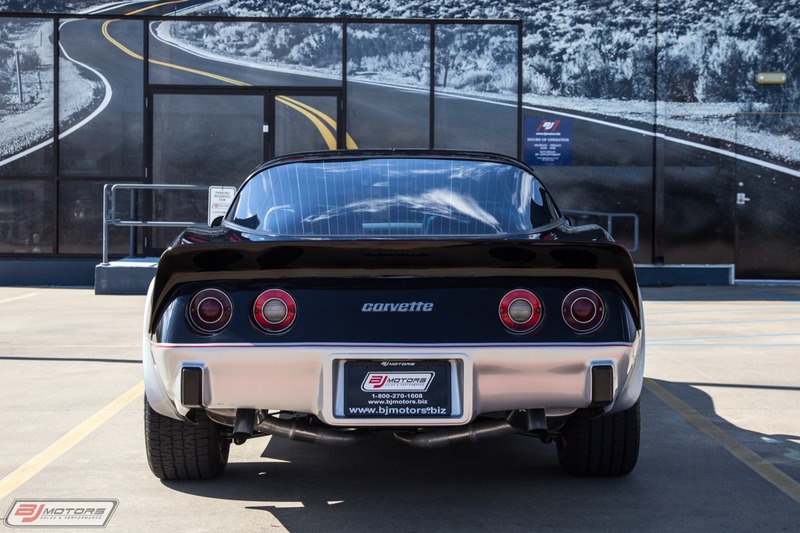 Just 6,502 of these black and silver Corvettes were produced, each with a unique vin. 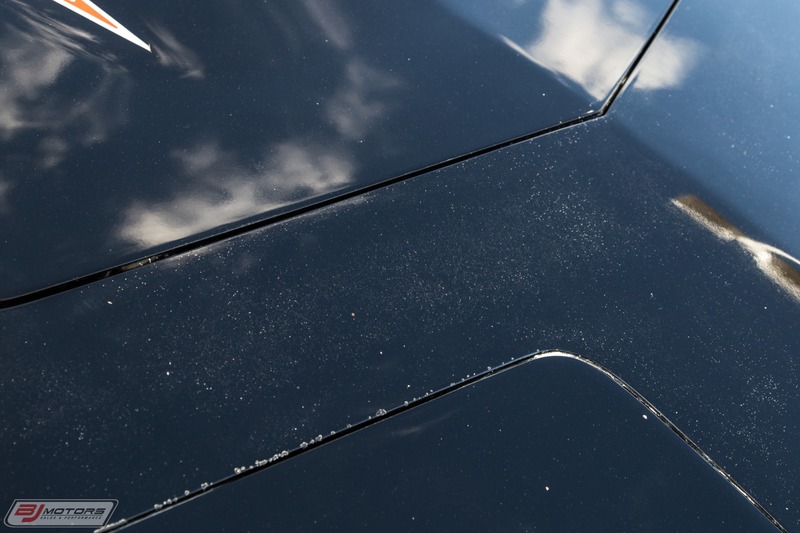 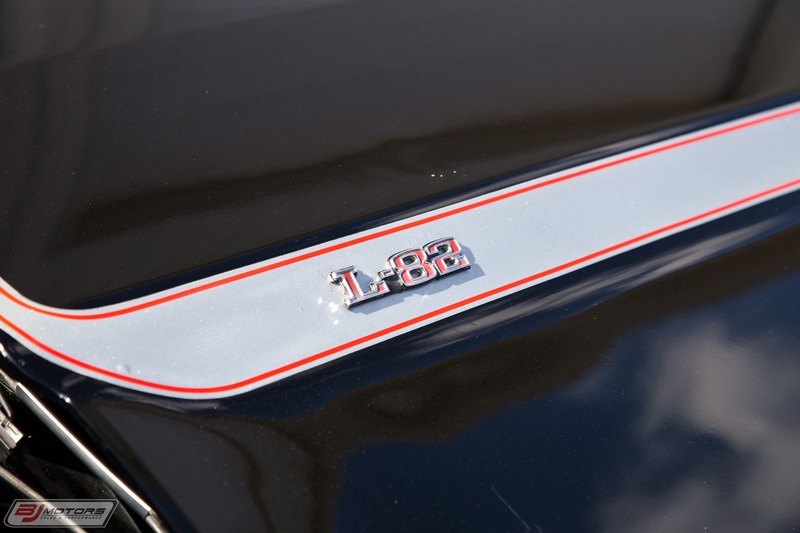 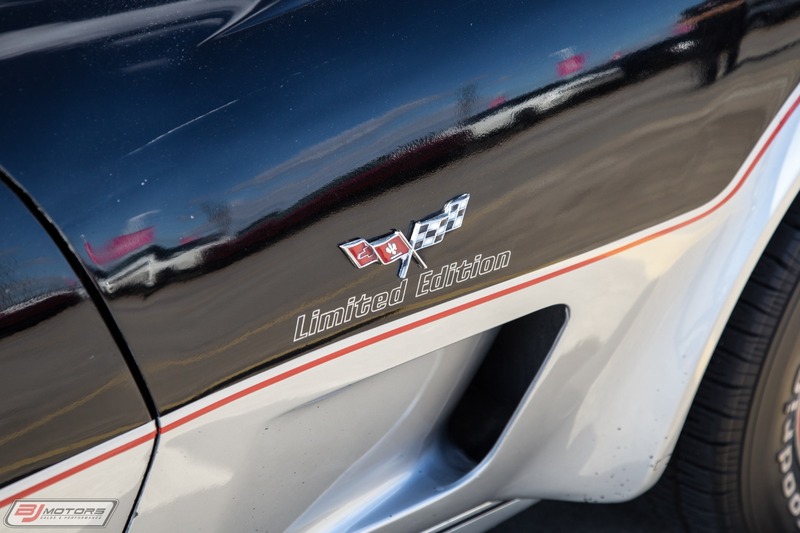 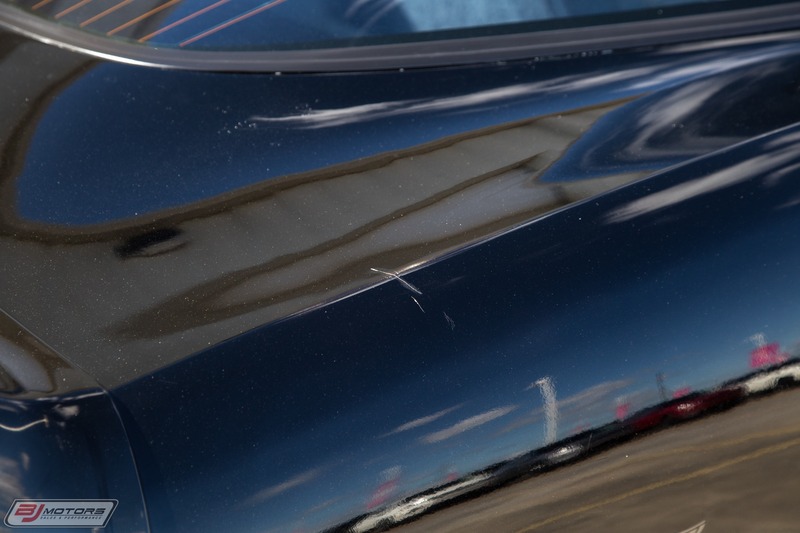 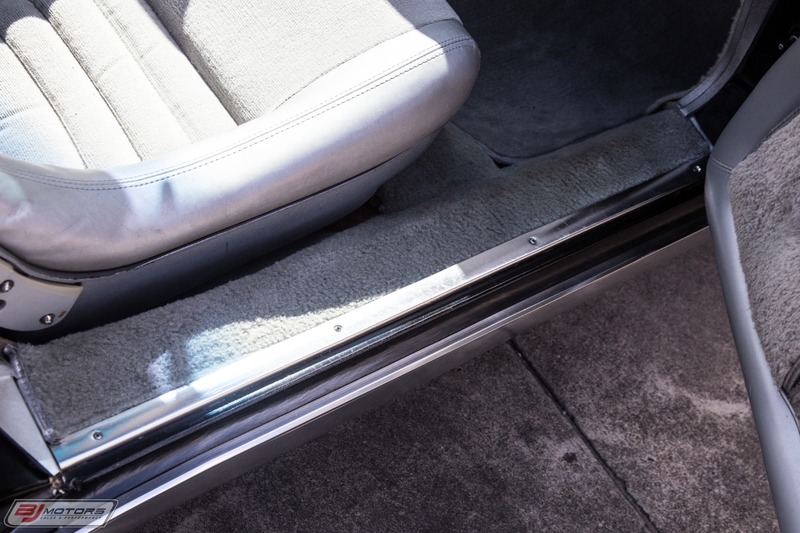 In addition to the two-tone paint, each Corvette Pace Car featured unique front and rear spoilers, polished aluminum red-stripe wheels, mirror-tint roof panels and contoured sport seats finished in silver leather. 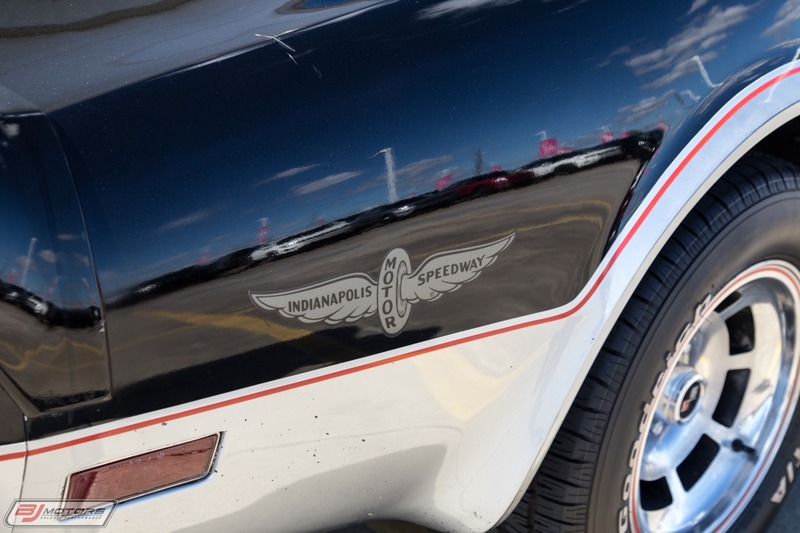 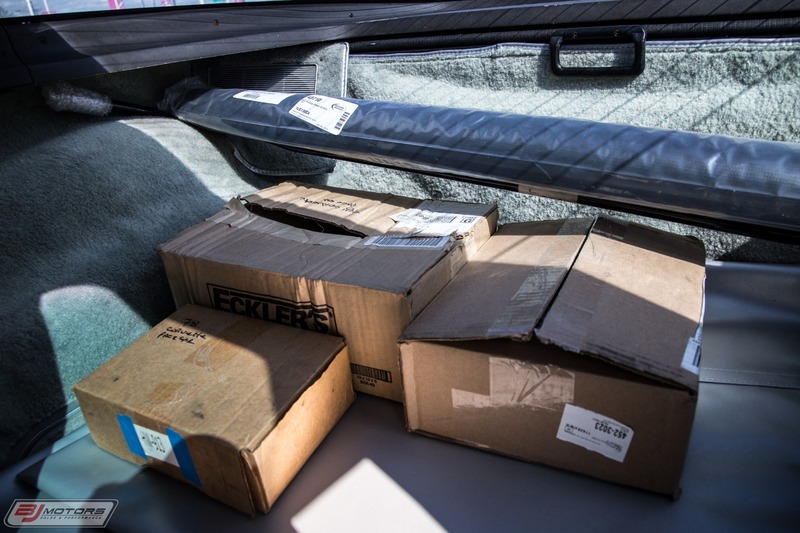 An Indianapolis 500 decal kit was also included. 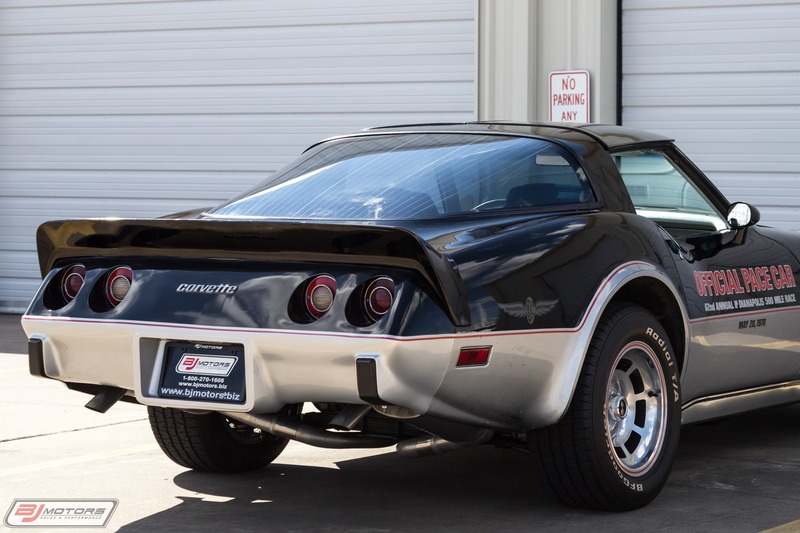 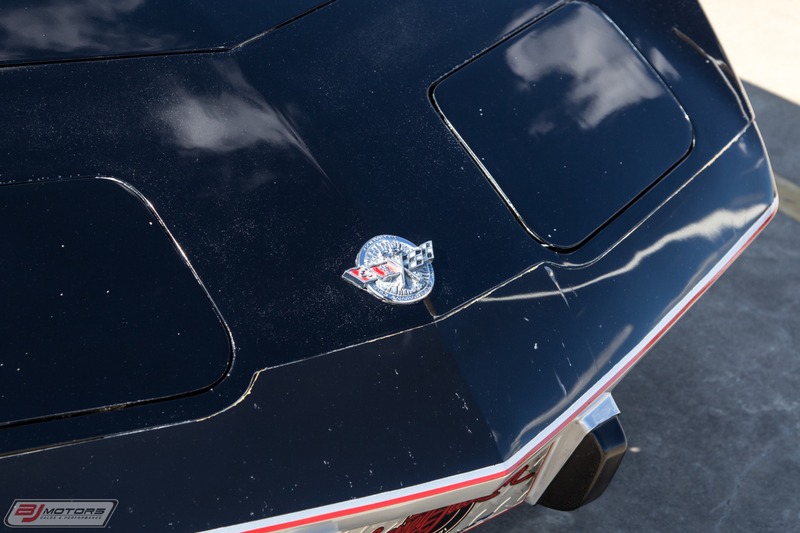 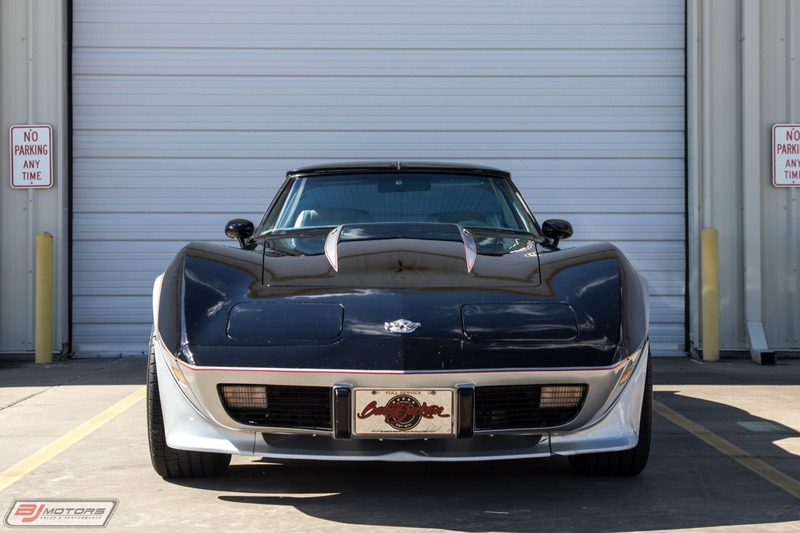 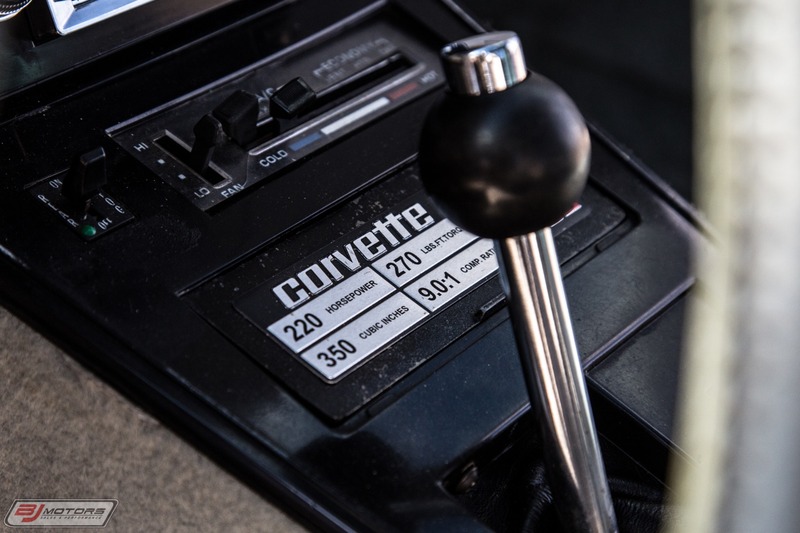 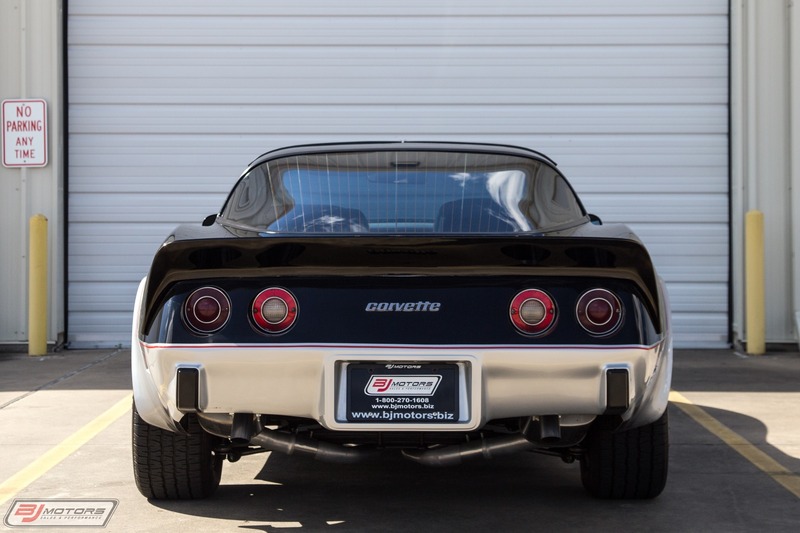 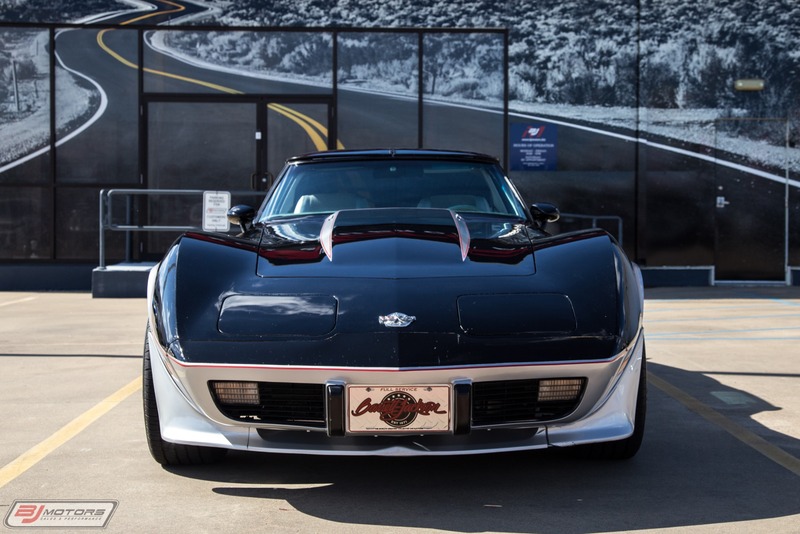 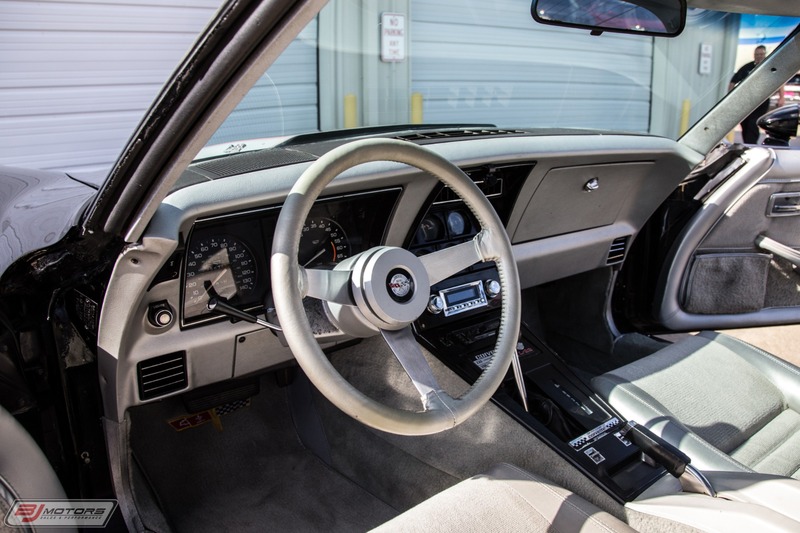 This car is all-original and is a perfect restoration candidate for the die-hard Corvette enthusiast. 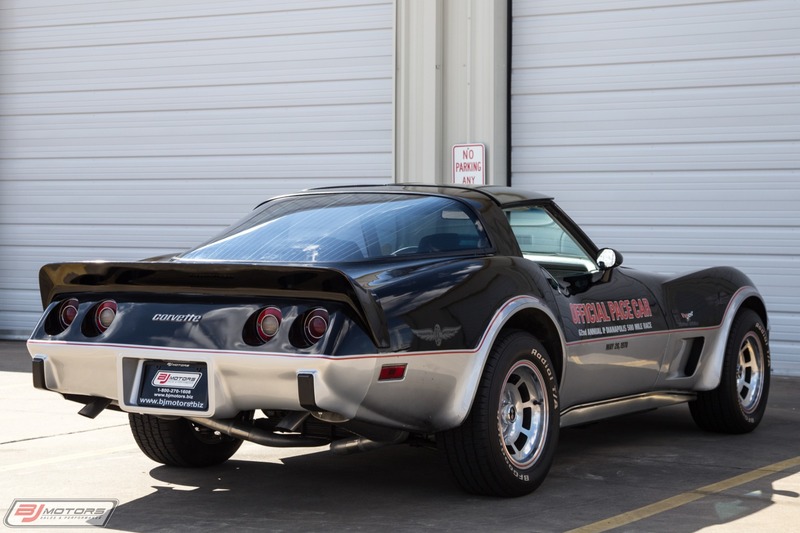 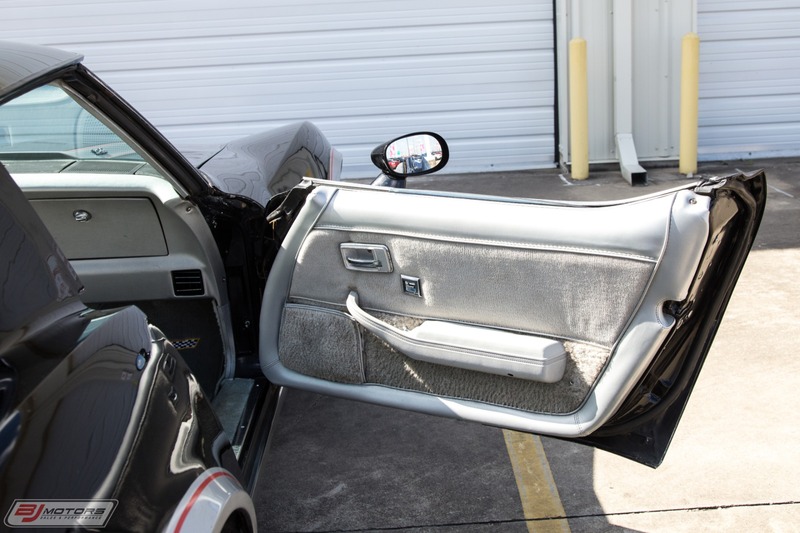 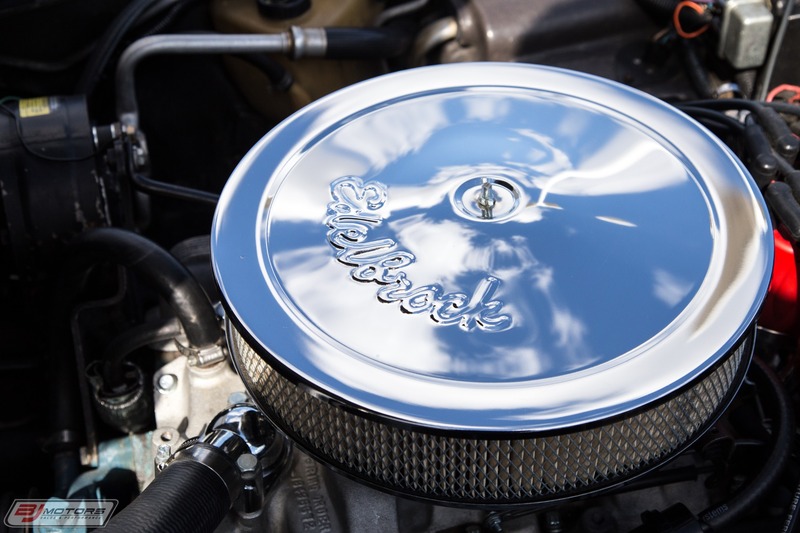 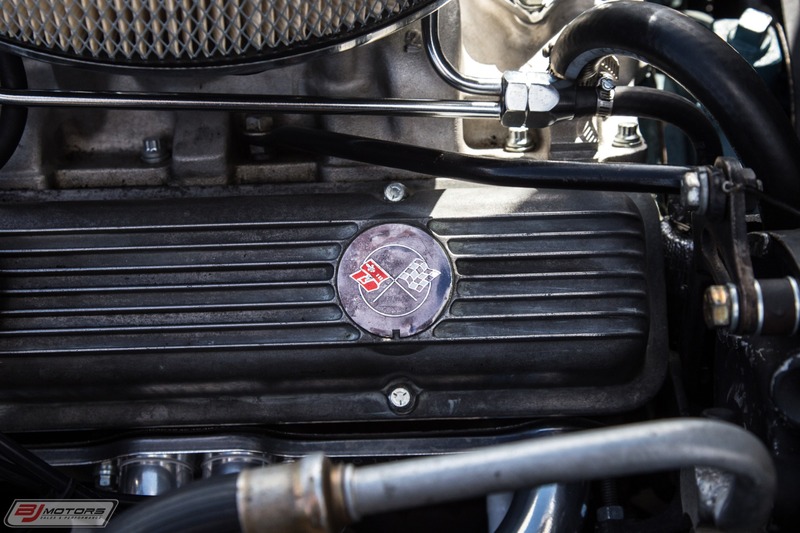 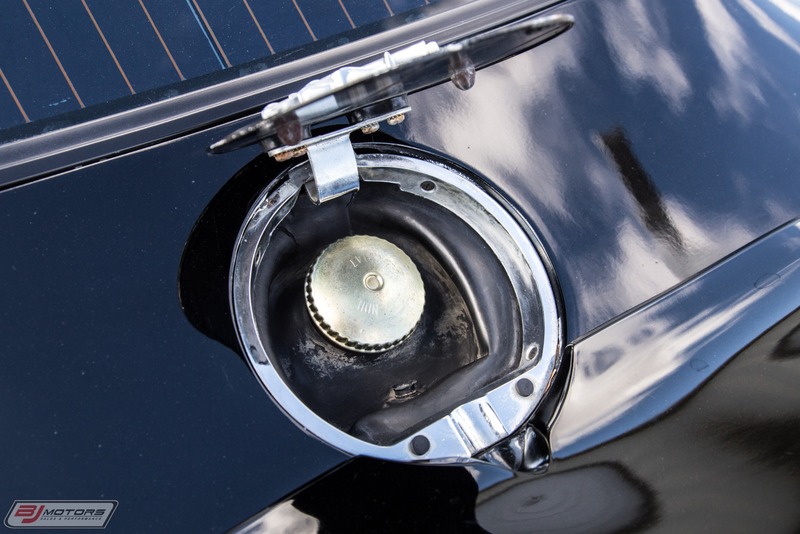 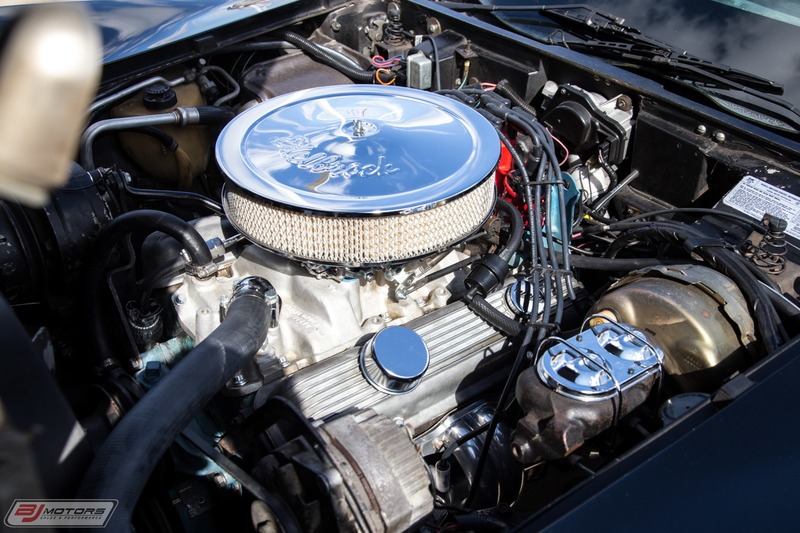 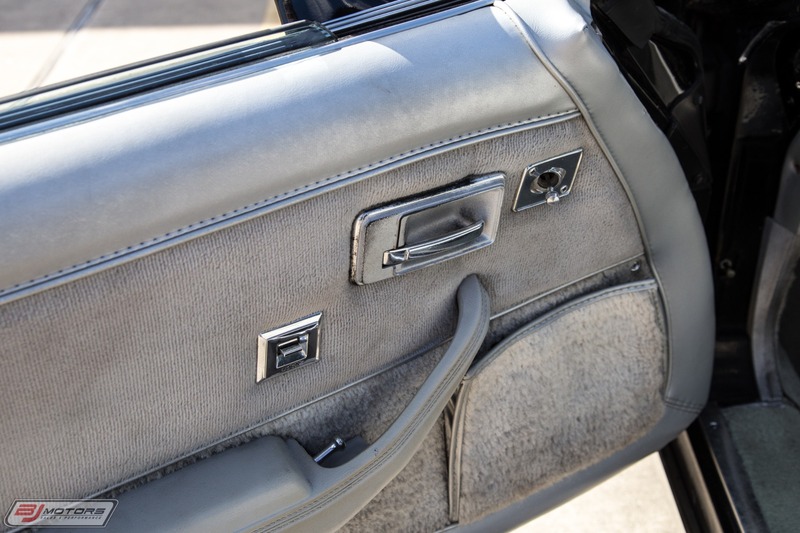 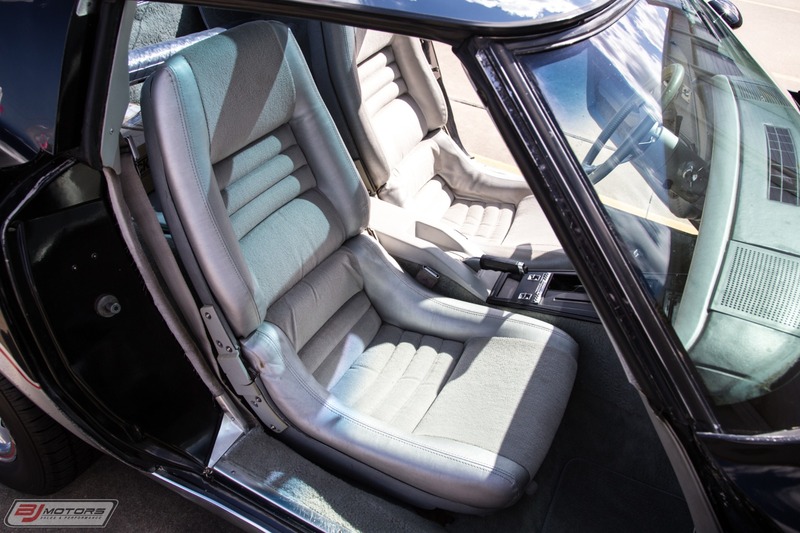 Contact us today to own a piece of automotive history!